Beauty and the Gamer: Getting your Glam On! 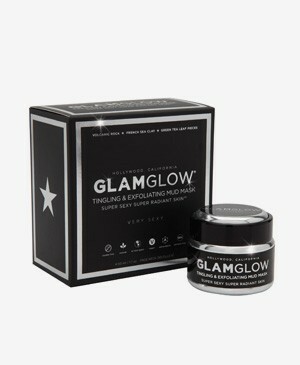 Glam Glow - the greatest thing for your face since....sliced bread? Okay, that didn't work out, but you get my drift. In my February Glymm box, I received a sample of Glam Glow. It's the new IT mud mask in Hollywood. It's supposed to get your skin camera ready in 15 minutes. WHAT? Yeah...in addition, it's supposed leave your skin soft and radiant, remove all of your skin's impurities without sucking up all of your natural oils, provide gentle resurfacing exfoliation, activate moisturizing collagen synthesis, and provide smoother skin texture. All in 15 minutes! My sample was good for at least two masks. Thank god for awesome friends because I managed to finagle one from my girlfriend. I don't really do masks all that often, but when I do, my fav is the mud mask. There's nothing more satisfying than knowing that all the impurities are being sucked right out and washed away. My first impressions was that this product is VERY gritty. There were lots of little bits and pieces. This product contains no artificial colours or fragrances. It does contain a lot of volcanic rock and mineral ash, french sea clay, purified clay, real pieces of green tea leaf, green tea seed oil, grape seed, marigold and chamomile flower, cucumber, ivy, herb leaf and lavender oil. So, even as I'm applying this mask, it's already exfoliating your skin. It starts drying instantly. And this is when you start feeling the pain. Don't laugh! I'm being serious! I nearly started to tear! It was so painful that my teeth started to hurt. And boy, it really tightened. As it dried, you could feel your face shrink. I swear that I couldn't even close my lips because my face was so tight. Once I washed everything off, my skin felt soooo soft and it didn't feel dry at all. I wasn't going to even moisturize for the night. I don't know how to describe it, but my skin felt so alive. The only thing that holds me back on purchasing this product is the price. It's $78 for 50ml. Currently, there is a promo code for it, bringing the price down to $58? Or something like that, which still makes it a very expensive mask. Maybe, one day, when I've run out of things to purchase and places to travel to, I'll splurge on this item, which is a real pity because I really liked it (husband, if you're for whatever reason reading this blog.....hint hint!). Yes, thanks for letting me know about bloghopping. It was super fun! Oh wow, sounds like it gives great results - but at $78? I'm not so sure I'll be trying it! It gives really great results...but I'm not sure if I can subject myself to that pain (and price tag) regularly! LOL. Thanks for stopping by! lol. Hint hint made me laugh. Anyway, nominated you for an award. Thanks for the nomination and thanks for stopping by! LOL, the pain only makes me want to try it more! I haven't tried my Glymm sample yet, but now I sure will!! I wanna see those results! The pain is well worth it (you'll have to repeat this to yourself through the mask process). LOL!